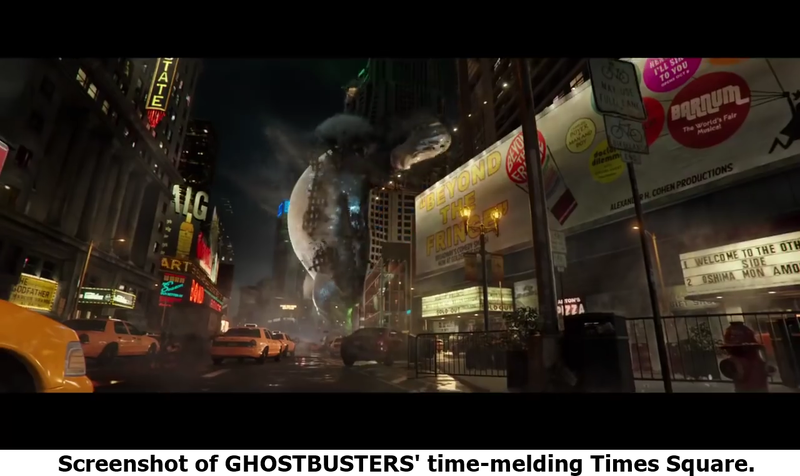 My favorite part of the Ghostbusters reboot: Jefferson Sage’s production design during the movie’s climax in which the specters that plague Manhattan are not simply ghosts and goblins but Times Square’s storied and sometimes notorious past. A billboard crawl reports news from the Carter era. A movie theater marquee advertises The Godfather (1972). 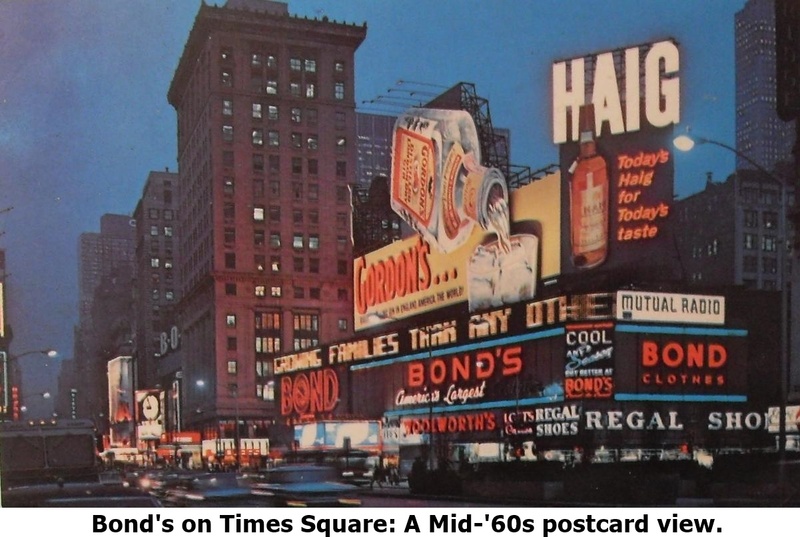 Bond’s, a men’s clothing store that morphed into a nightclub where The Clash famously played a set of shows in 1981, looks much as it did in postcards dating from the mid-1960s. Woolworth’s lives again. A billboard advertises “Beyond the Fringe,” an English revue starring Peter Cook and Dudley Moore that played on Broadway in the early 1960s.